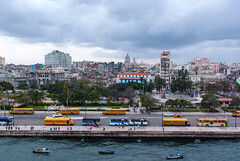 HAVANA – Cuba’s tax breaks may have proven effective at attracting new investment into the country. Last week the government of Cuba announced that it has so far attracted more than USD 2 billion worth of foreign investment into the country. Cuba needs approximately USD 2 billion in investment per year in order to keep its economy afloat. The new investments are spread out over the 30 agreements signed so far this year. Additionally, a further 80 deals are under negotiation, with 15 being nearly complete and potentially being ready to sign this year. Out of the 30 deals, 11 are for businesses with 100 percent foreign ownership, and 14 are for administrative and production agreements. It is widely believed that the new businesses are mainly involved in the tourism and energy industries. 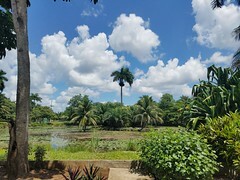 HAVANA – Cuba hopes to wean itself off its reliance on foreign nations for food and money by granting more land to farmers, and then taxing them on it. Last week the government of Cuba unveiled a series of new rules regarding land ownership and the gradual implementation of taxes on land ownership. The new rules are aimed at simultaneously boosting the country’s ability to grow its own foods, while also increasing tax revenues. Currently, the government doles out idle land to private citizens or entities, if the land will be used for food production. Under the new rules, the land given to farmers will now be granted for a period of 20 years, instead of the previous period of 10 years, and, further, the lease on the land will be renewable upon expiry. 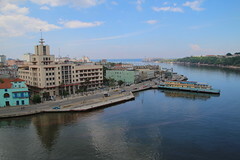 HAVANA – Tax evasion and smuggling have forced the government of Cuba to stop issuing new licenses for some businesses. The government of Cuba is ceasing the issuance of business licenses until the problems associated with self-employment have been perfected. Previously, Cubans who wanted to strike out and be self-employed could be issued a license by the government to run their own business. However, the growing prosperity of some business owners displeased government officials. Of particular ire to lawmakers were bed and breakfast owners who, in one night, could see incomes equivalent to the average weekly wage of a state-employed worker. The government also noted that the self-employed may be neglecting to pay their full tax obligations, or even evading their taxes entirely. ASUNCION – Farmers in Paraguay are fearing that a new tax could spell the end of corn and wheat exports in the country, while also crippling the vital soy production sector. Farmers in Paraguay gathered on June 21st to protest a proposed tax measure which, they claim, could shrink the level of exports of agricultural products from the country. 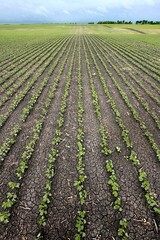 The new tax would be levied at a rate of 15 percent on the export of soy, corn, and wheat products leaving the country. It is expected that the government could vote on the tax this week, as early as June 22nd. Supporters of the tax claim that the agricultural sector enjoys an overly beneficial tax environment, and could pay more in order to raise revenue and help fund development projects. BRASILIA – Digital books and e-book readers in Brasil will soon be cheaper, as they have just received the same protection from taxation as physical books. A new ruling by the Supreme Court of Brazil has enshrined the idea that digital books should enjoy the same tax treatment as their physical counterparts. In September 2016 a debate began regarding the taxation of e-books, with some parties claiming that the digital products should not face taxation, while opponents claimed that the rules should be restricted to physical books only. The tax breaks on books stems from legislation in Brazil which protects books from taxation as a matter of freedom of speech.